Methamphetamine is commonly known as “meth,” “speed,” and “chalk.” In its smoked form, it is often referred to as “ice,” “crystal,” “crank,” and “glass.” It is a white, odorless, bitter-tasting crystalline powder that easily dissolves in water or alcohol. The drug was developed early in this century from its parent drug, amphetamine, and was used originally in nasal decongestants and bronchial inhalers. 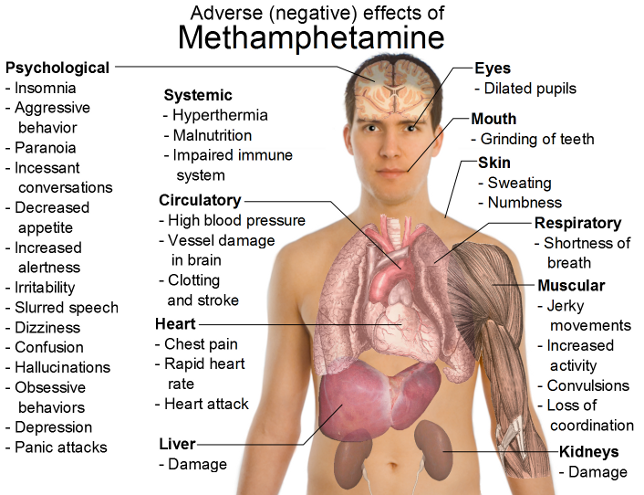 Meth is a highly addictive sythnthetic stimulant that affects the central nervous system by releasing high levels of the neurotransmitter dopamine, which stimulates brain cells, enhances mood and body movement; and regulates feelings of pleasure. Meth can be manufactured into several forms, it can be smoked, snorted, injected or orally ingested. Depending on the method of intake, the high can last from 6 to 24 hours. Why is Methamphetamine a Problem in Our Community? The production and use of methamphetamine is a serious threat to the health and safety of our community. Large quantities of the meth in this country are supplied by foreign or domestic superlabs. Locally the majority of the meth sold and consumed is produced in small, illegal laboratories, where it’s production endangers the people in the labs, neighbors and the environment. The chemicals needed to manufacture meth are often illegally diverted from legitimate sources. Some of these precursor chemicals include pseudoephedrine (contained in over-the-counter cold medications) sodium hydroxide (lye) and lithium (batteries). When manufacturing methamphetamine, the mixture of one or all of these chemicals can become a lethal combination. 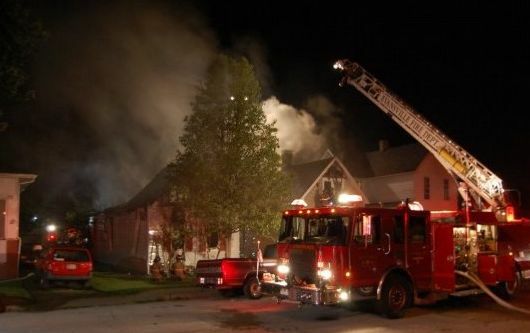 The vapors can also be highly volatile, sometimes leading to explosions that can severely burn or kill the individual “cooking” the meth as well as other individuals in the house or close neighbors. Meth users are often seduced by the intensity of the initial high – a high many say is unlike anything they have experienced before. 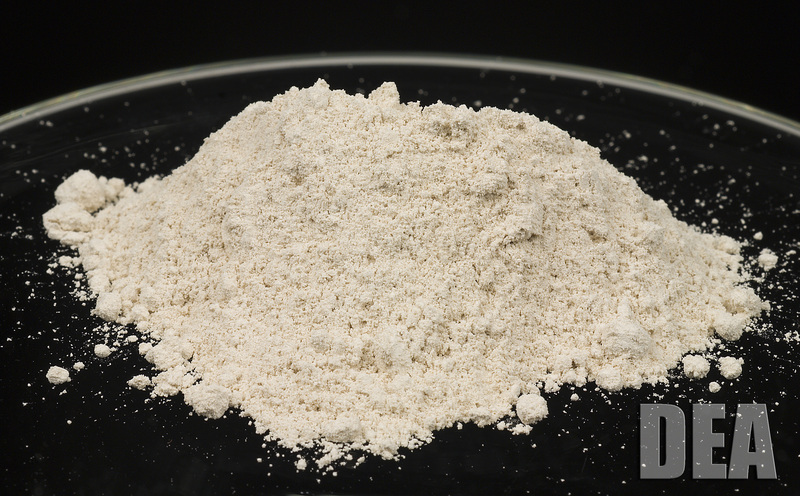 Almost immediately, users build up a tolerance for the drug, causing them to vary the quantity, frequency or method of intake in an effort to recreate that first experience. With repeated use, meth can “turn off” the brain’s ability to produce dopamine, leaving users unable to experience any kind of pleasure from anything other than more meth. Even with sustained low-level usage, a person will often begin to experience symptoms such as: drug craving, extreme weight loss, loss of muscle tone and tooth decay (meth mouth), along with withdrawal related depression and other symptoms. High doses can elevate the body temperature to dangerous, sometimes lethal levels, as well as cause convulsions. Long-term meth abuse may result in many damanging effects, including violent behavior, anxiety, confusion, insomnia, paranoia, auditory hallucinations, mood disturbances and delusions (for example the sensation of insects crawling on or in your skin). Chronic use frequently leads to brain damange, respiratory problems, irregular heartbeat and irreversible damange to blood vessels in the brain which can produce strokes, heart and kidney damange; cardiovascular collapse and death.